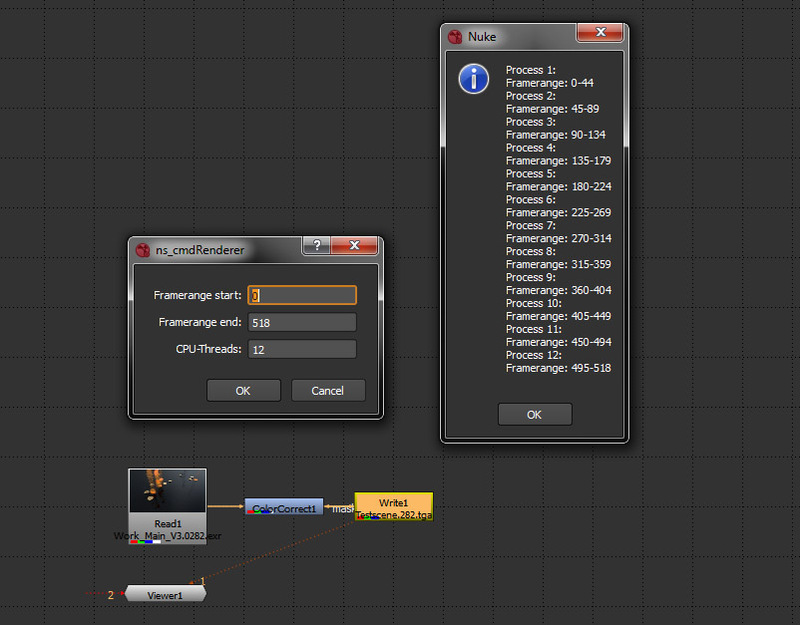 Rendering from nuke-UI is ridiculous slow? Here a tiny script to trigger more threads. Select a specific “Write”-node and fire the script. The scripts starts commandline render-instances with splitted frameranges. Windows Only!